Spend your Summer holidays with the Red Devils! The Salford Red Devils Foundation are offering fantastic opportunities for kids to get active and spend their summer holidays in a fun and safe environment! 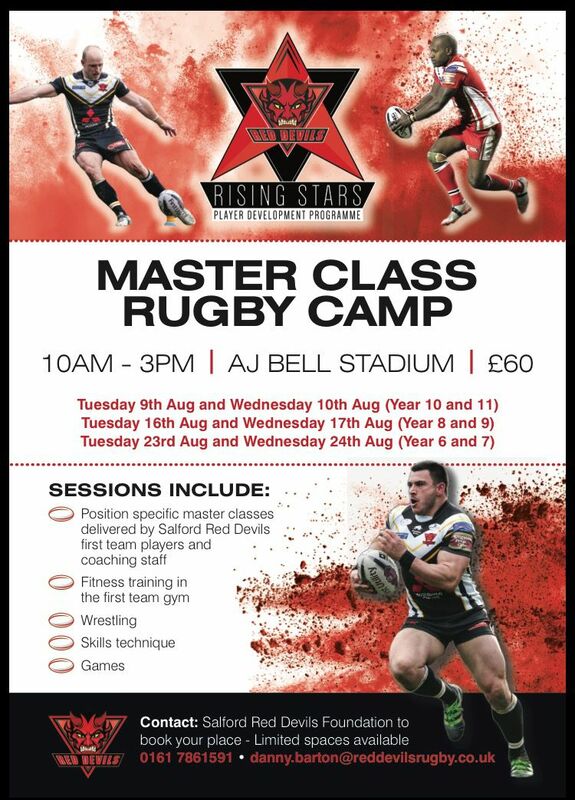 The rugby master class camps will offer boys from year 6 to year 11 to opportunity to benefit from the expertise of the Salford Red Devils professional coaches. Further to this, the camps will feature position specific masterclasses delivered by the clubs first team players. Participants will get the opportunity to develop their personal game as they are put through a wide variety of skill games, wrestling techniques and specialist fitness training, all taking place at the state of the art facilities at the AJ Bell Stadium. 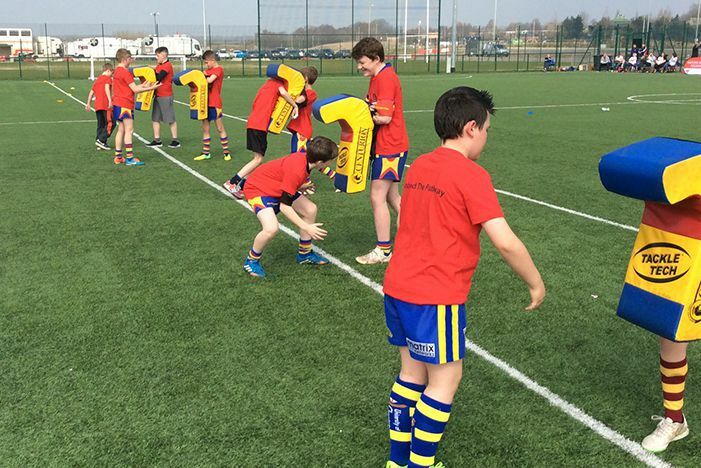 These master class camps are part of the Foundations ‘Embed the Pathway’ development programme, which recently received the highest possible grade in its RFL appraisal. As well as the master class camps, the Foundation is also offering boys and girls from age 7-11 the chance to take part in a series of multi-sport holiday camps. The camps which take place at the Salford City Roosters in Eccles participants the opportunity to try their hands at a number of different sports and benefit from the expertise of our fully qualified coaches. All sessions will take place between 10AM and 3PM. The camps are priced at £15 a day or £30 for 3 days, and are open to boys and girls from year 7 to 11.